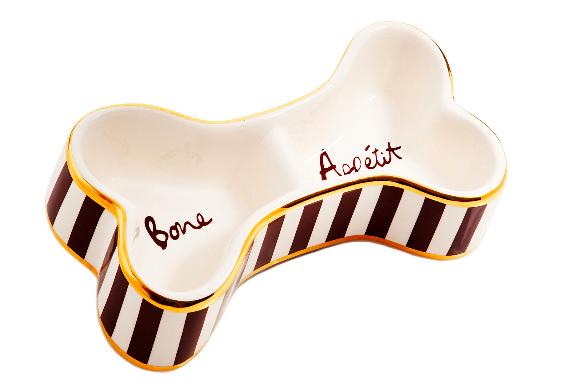 Perfect for making each meal a fancy affair, this ceramic dog-bone shaped bowl can also double as a treat dish/container. And why not ensure that all of your pooch's accessories match by picking up the Sleeping in Stripes dog bed. 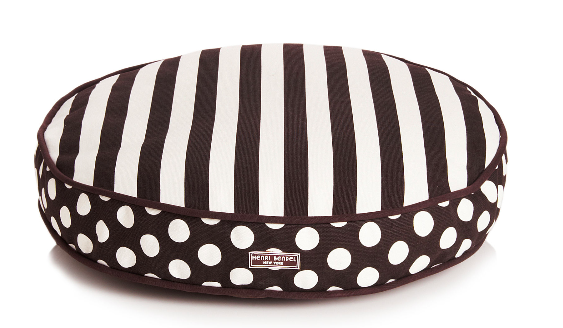 Featuring Henri Bendel's iconic stripes on one side (and dark brown fabric on the other), it's the right size for a small to medium pup. Bocce's Bakery Introduces Sunday Roast Biscuits!